Create a sense of dread in your foes as you raise our Silver Knotwork Viking LARP Sword high above your head. Crafted from dense latex foam with a unique fiberglass fusion core, this foam sword needs to be part of your arsenal. A twisted braid knotwork design accents the guard and has a unique lobated pommel which creates a realistic shape for this foam LARP weapon. 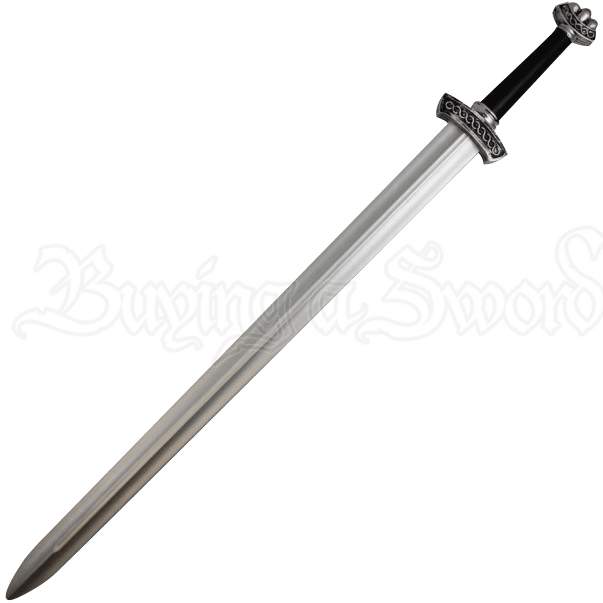 Bold and powerful, this broad-bladed LARP sword is inspired by the weapons used by Norse warriors, offering a flexible and lightweight form perfect for LARP battle in a myriad of ways while still appearing as a Viking weapon should.